Apparently, the AT&T VP has confirmed the rumors of iPhone 5 being released early October to some employees, according to a report by BGR. One of our high-level AT&T sources just informed us that an AT&T Vice President has confirmed to several employees that the iPhone 5 is slated to launch in early October. Additionally, the VP communicated the following to a group of managers: “Expect things to get really, really busy in the next 35-50 days, so prepare your teams accordingly.” Apple is widely expected to announce the iPhone 5 in a late September event with a release set for early October. 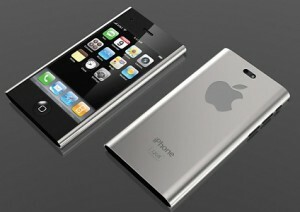 Previous reports suggested that iPhone 5 is to be released on the 7th of October. 0 Respones to "iPhone 5 Releasing in October"